As you might imagine, the James Webb Space Telescope is a pretty big deal here at NASA Goddard, because much of it is being assembled here. You’ve seen our posts with image of its primary mirror segments arriving, and glimpses of other flight hardware in our cleanroom. As a companion to all our tech coverage of Webb, we thought it would be nice to talk about the science it will do and how it is the scientific successor to, rather than the replacement for, the Hubble Space Telescope. 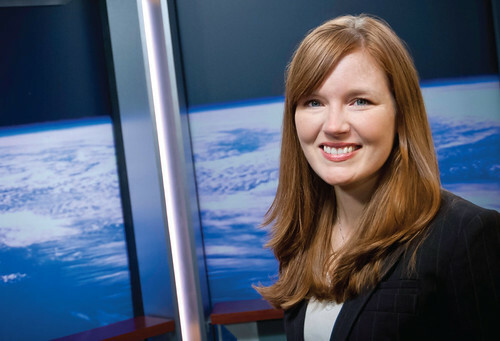 We chatted with Dr. Amber Straughn, one of the project scientists on Webb (and guest blogger for Blueshift), to learn about what this new observatory will bring to the scientific community. We also talked about Amber’s own research, how she uses Hubble data, and what she hopes to get out of Webb data in the future. Learn more about the farthest galaxies from us in Maggie’s “Farthest” blog.